The city of Cupertino is looking into the possibility of building a Hyperloop to ease the commute of thousands of tech employees who work at Apple. Marianne Favro reports. "We are talking to Hyperloop to have a line hopefully on Stevens Creek from Diridon station to DeAnza College," said Chang. 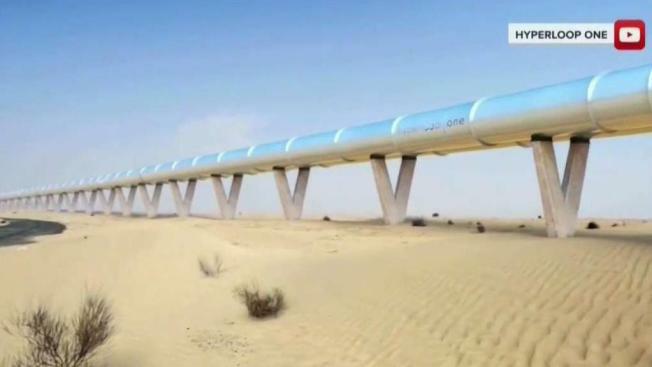 Tesla CEO Elon Musk was one of the first to envision the idea of a Hyperloop, a high speed system, to move people from place to place using vacuum sealed tubes. Chang said if the Hyperloop becomes a reality, it would only take five minutes to get from DeAnza College to Downtown San Jose, a trip that now takes about 20 minutes. "I think it is a great idea there is so much congestion in the South Bay and this would really help," said Cupertino resident Carrie Harrie. The city of Cupertino is hoping Apple might be willing to subsidize some of the cutting edge technology. City Council voted down a head tax on Apple employees to help pay for the transportation improvements.